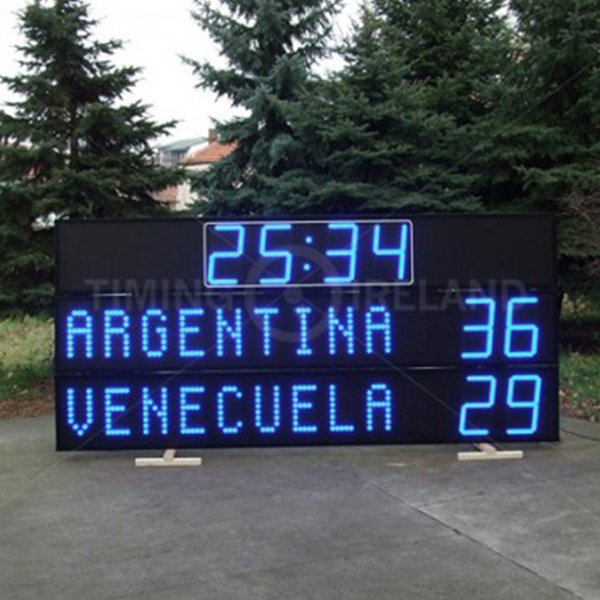 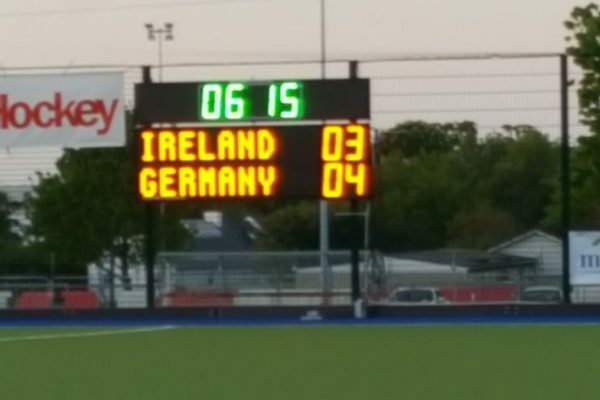 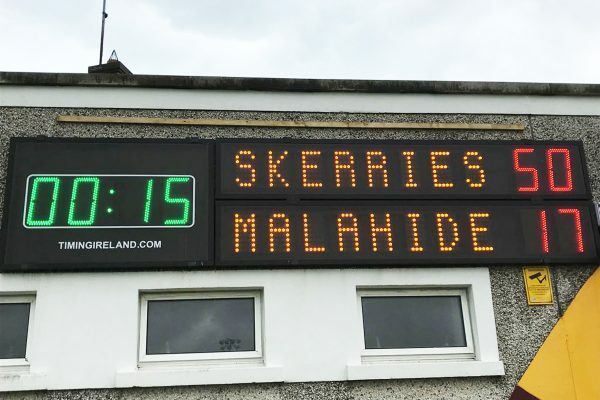 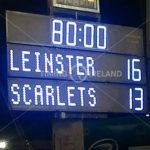 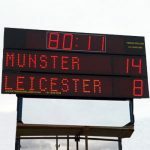 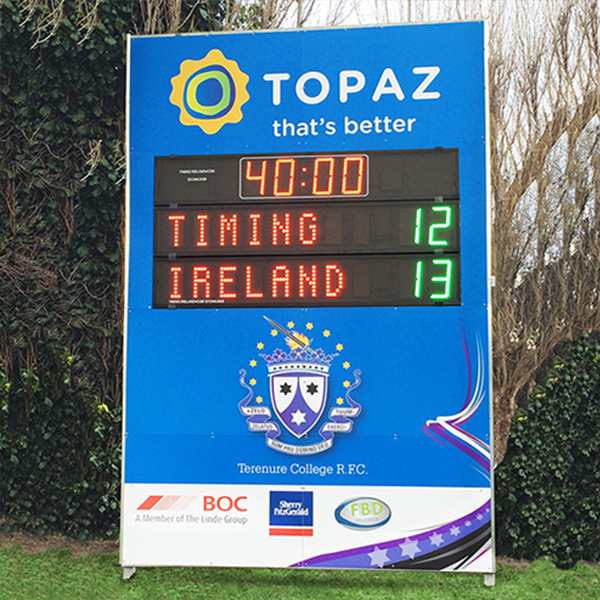 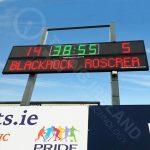 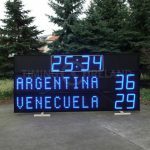 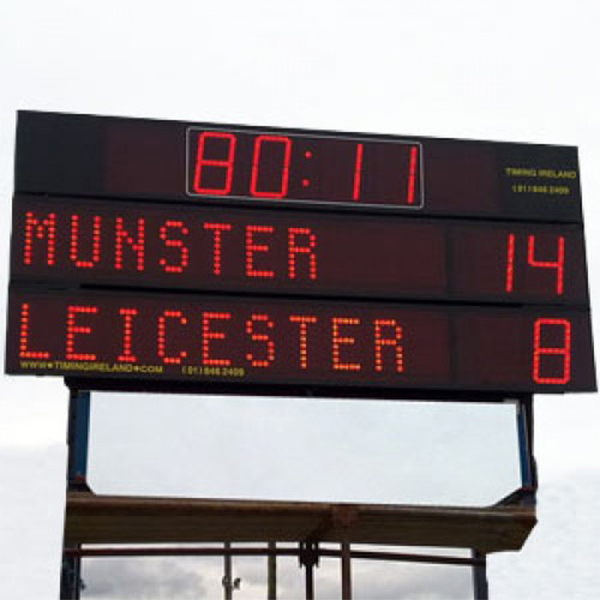 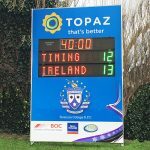 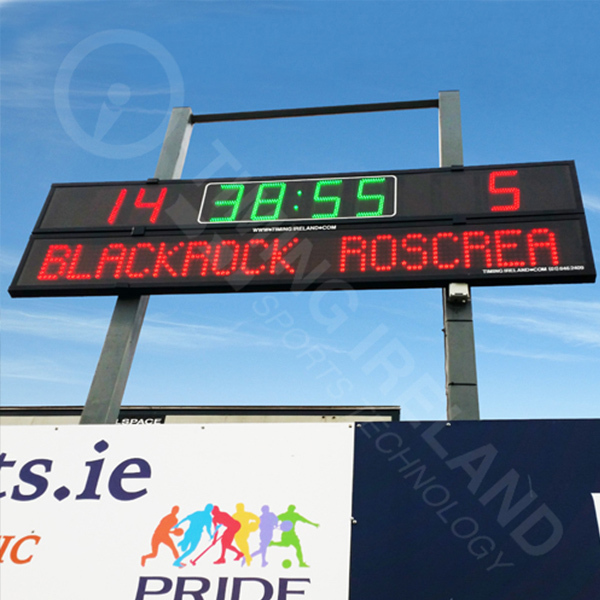 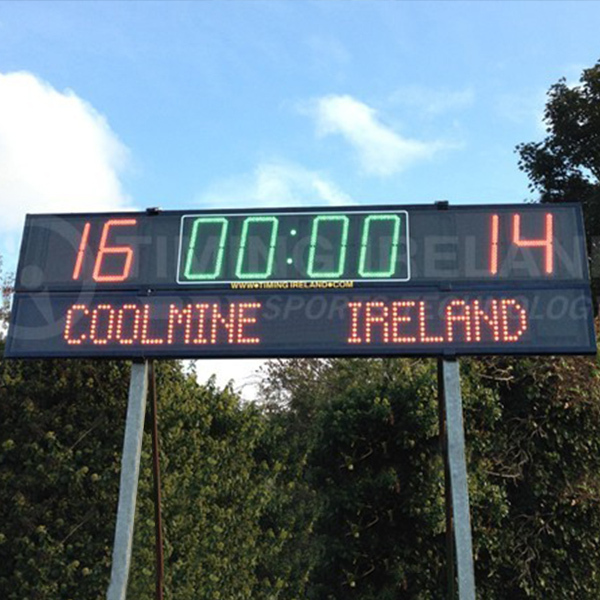 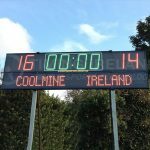 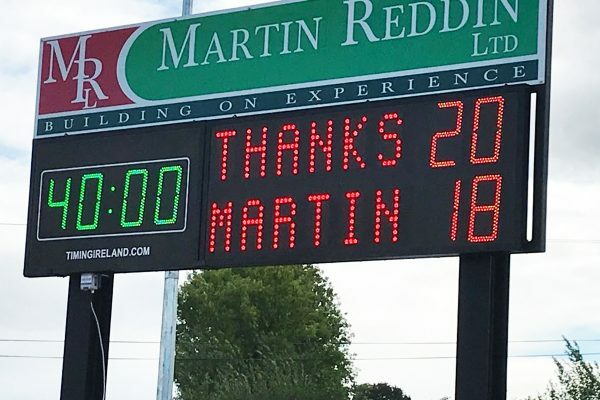 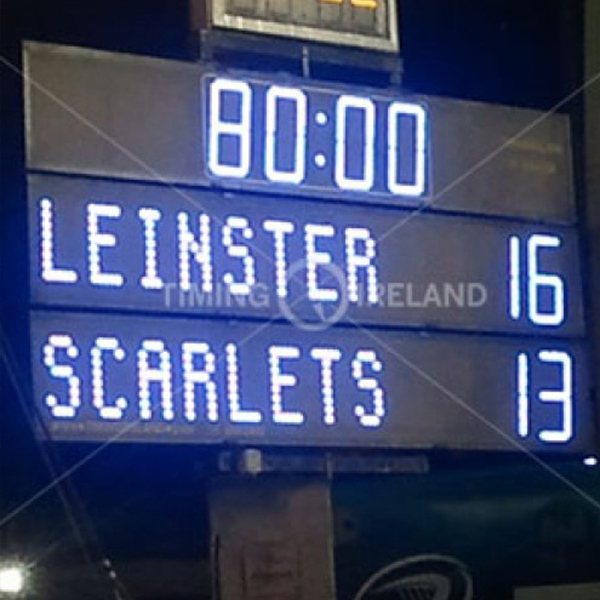 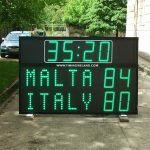 Full LED Electronic Rugby Scoreboard RG-3 with 3 Digit Type in Team Names & 4 LED Scoring Digits. 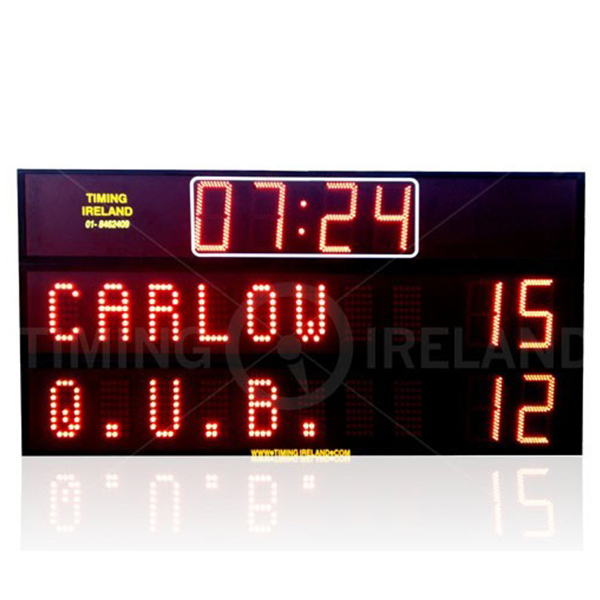 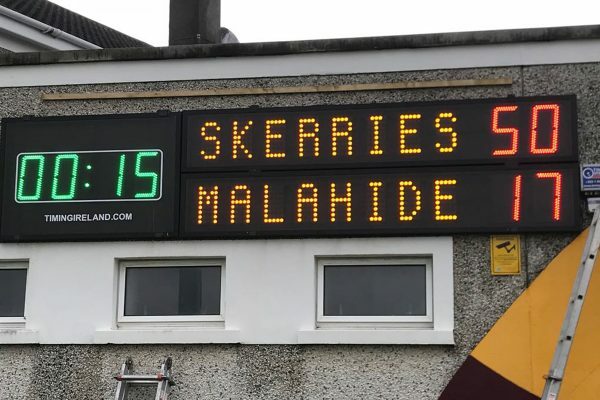 Ultra Bright Rugby Scoring Digits Display Home & Away Scores. 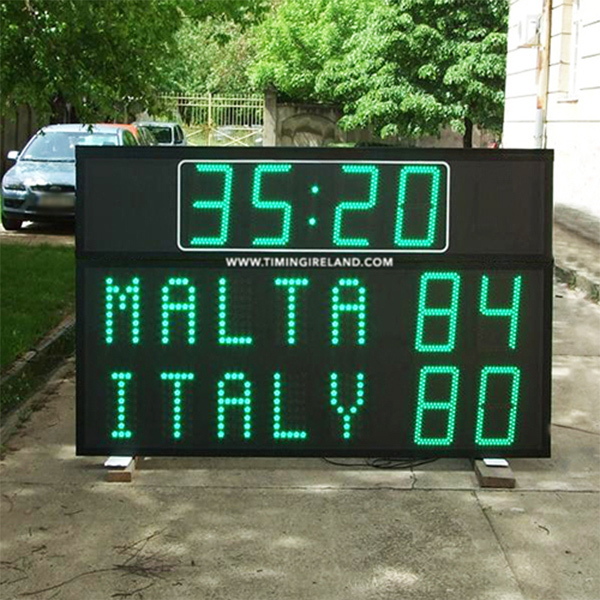 Optional Rugby Game Clock with Hooter. 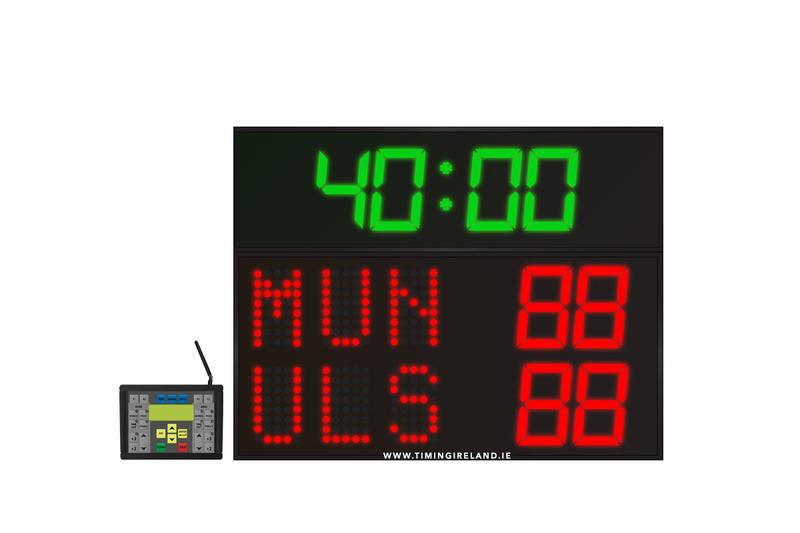 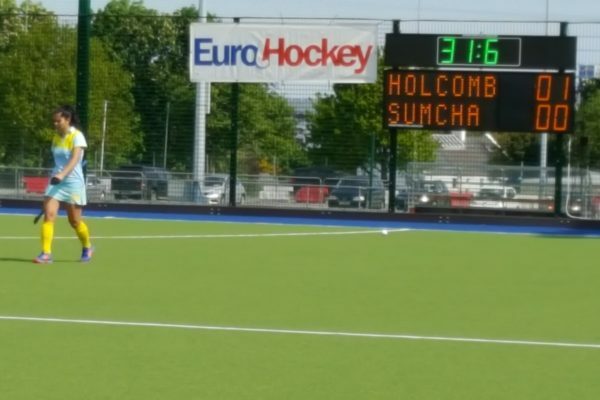 Rugby Scoreboard RG-3 includes wireless controller.